Do you know the importance of Shiva "panchakshari" in Hindu religion which gets recited daily morning by millions of people? "Pancha" means five. "Akshara" means letter. 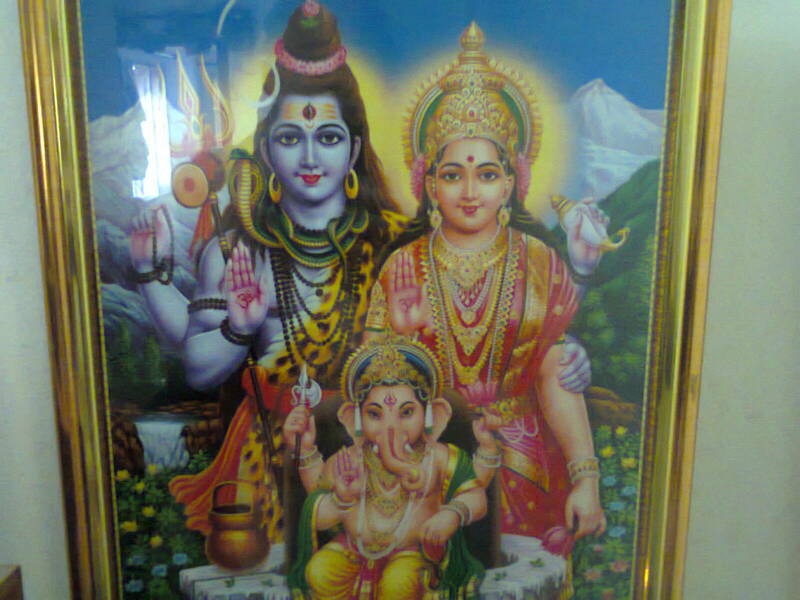 The mantra "Namah Shivaya" contains five letters or syllables of 'na', 'ma', 'shi', 'va' 'ya'. This Shiva mantra refers to five slokas or hymns based on these five syllables praising the glory of Lord Shiva as well as the power of these syllables. One who recites these lyrics daily morning (or during any period of problems), will get an instant relief from all his problems and attains moksha after his death. I am providing the lyrics in three languages of Hindi, Telugu, and English and the full meanings of the mantra at the end of this post in the English language. Nagendra haaraaya = one wearing the serpent king as a garland in his neck, trilochanaaya = three-eyed (Shiva), bhasmaanga raagaaya = one whose body is draped with ash, maheshwaraaya = greatest lord of universe, nityaaya = eternal, sudhdhaaya = purest, digambaraaya = wearing the four directions as his clothes, tasmai = to Him, nakaaraaya = embodiment of syllable "na", namashshivaaya = salutations to Shiva. Essence: I salute to Him (Lord Shiva), who wears the serpent king in his neck, who is three-eyed; draped with ash all over his body; who is the great Lord, eternal, pure; and having the 4 directions of east, west, north, and south as his clothes; and is the embodiment of syllable 'na'. Essence: I salute Lord Shiva who is worshipped with waters of Mandakini and sandal paste and with many flowers - chief among them being hibiscus flowers, one who is the Lord of Nandi bull and all ghosts and spirits and who is the embodiment of the syllable 'ma'. Essence: I salute to Him who is virtuous, who is like the Sun causing Parvati's face to bloom; who is the destroyer of Daksha's yajna (sacrifice); whose neck (throat) is blue and who holds the Nandi emblem on his flag; I salute to that Shiva the embodiment of syllable "shi". Essence: I salute to Shiva who is worshipped by great sages like Vasishta, Agasthya, and Gautama and also by all the gods and angels; one who is the universal self- having the sun and the moon as his eyes. In this context, as Shiva is believed to be three-eyed, vaishvanara may also refer to fire which is his third eye. I salute to that Shiva who is the embodiment of syllable "va". Essence: I salute Shiva who looks like yaksha with his matted hair, holding the trident spear in his hand, who is an eternal being possessing a divine body that is covered by all the four directions, to Him who is the embodiment of syllable "ya". shiva sannidhou = in presence of Shiva, Shiva lokam = Shiva's abode, aavaapnoti = will be in possession; Shivena= Shiva's; Saha mOdatE = to become one or attain bliss in Shiva's company. Essence: One who recites these 5 hymns containing the five syllables of Shiva's name in His proximity, will reach Shiva's abode and possess his eternal bliss. To know more about Shivaratri celebration and its religious or spiritual implications, you may view at this link.